I was asked to give an honest review on Ruins, the new novel to the Sentinel Trilogy by Joshua Winning. I was surprised by how quickly I managed to finish this book. It was fast-paced and engaging as well as interesting. It made me fall in love with the characters even more as the reader gest to really feel much closer to them. I loved this young adult novel and appreciated how all the plot twists and complicated story line turned out. It takes real talent to come up with this type of book. Ruins elaborates on the demon hunters from the previous book and gives Nicholas some hope to prevent the world from spiralling out of control due to the Sentinels. 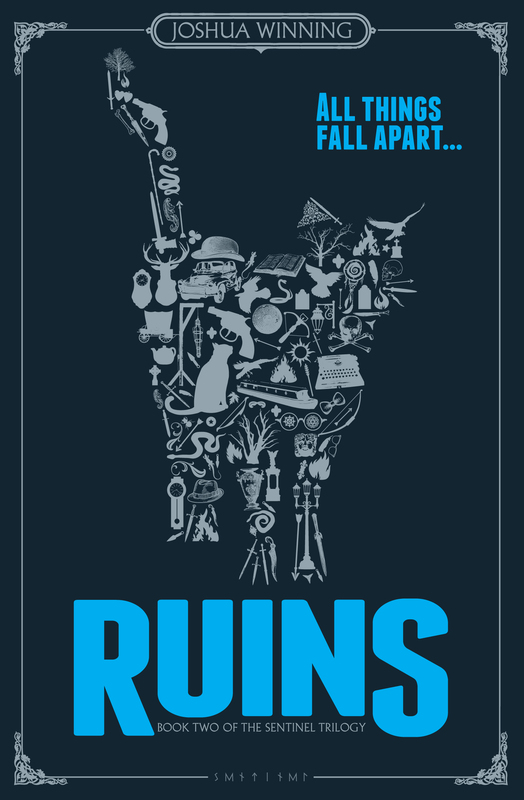 Again, it is hard to describe without giving away spoilers but I would like to say that you must read the first book to understand Ruins just because of the elaborate story line. It was hard to keep up with everything going on as it is so action-packed. If you’ve read Sentinel then you must read this gripping sequel. This review originally posted at Guardian Children’s Books.